Did you know that summer heat can be more damaging than cold temperatures when it comes to car batteries? According to the Car Care Council, the average life of a battery is 3.5 years, but that lifespan is even shorter in warmer climates. This is because excessive heat and overcharging are the two main culprits of diminished battery life. Luckily, preventive maintenance goes a long way toward extending the life of your battery. Be sure to read your vehicle’s owner manual and become familiar with what kind of battery is in your vehicle, where it’s located, how to safely clean it, and what the indicator light could mean for your vehicle. 1. Find a good working battery to help jump-start your dead one. 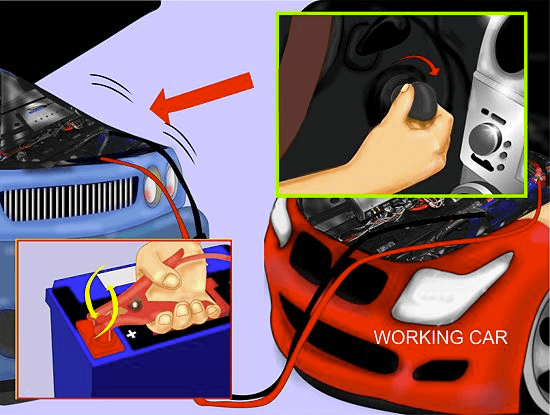 Get the car with the good battery close enough so that your jumper cables will be able to reach both cars, but do not allow the two cars to touch. Make sure you turn off the engine and all electrical components in both of the cars before you get started. 2. Now it’s time to establish positive and negative charges. Open the hood of both cars. On the car with the dead battery, connect the red (positive/+) cable clamp to the red terminal. 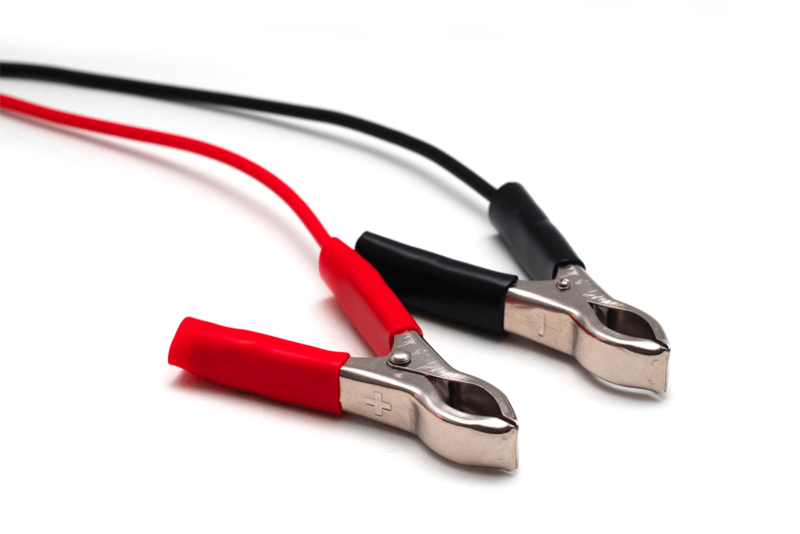 Connect the other red clamp to the positive terminal of the good battery. 3. While at the good battery, attach the black (negative/-) clamp to the black terminal. Connect the other black clamp to a piece of unpainted, grounded metal on the dead car, preferably a nut or bolt with no paint or oil. 4. Return to the car with the good battery. 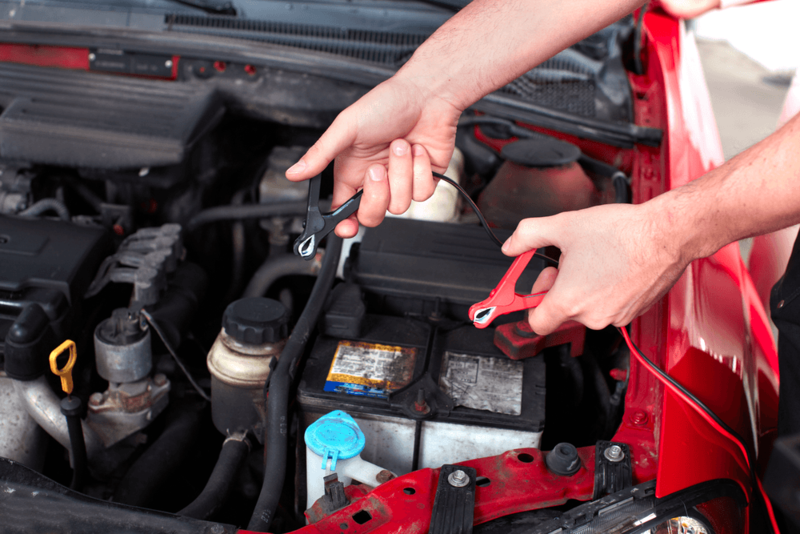 Check to make sure the jumper cables are not dangling into either engine compartment where they could get caught on moving parts, then start the engine on the good car. Let it idle for a few minutes to sufficiently charge the dead battery. As you disconnect the clamps, be careful not to let the dangling cables fall into the engine compartments or touch each other. 7. The charge in the dead battery should allow your vehicle to run for around 30 minutes — use that time to get to your local auto repair shop. Mechanics will be able to properly test your battery to see if you need a new one. Never connect the black leads first and the red leads after. Keep the top of your battery clean. Dirt becomes a conductor, which drains battery power. Always replace a battery with one that's rated at least as high as the one originally specified in your manual.